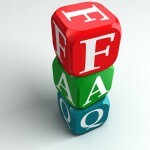 You have Social Security Disability questions, we have the answers! Check out our list of Frequently Asked Questions below or just get in touch with us right away for your free disability consultation! You’ve got nothing to lose, our experts charge no fee unless we win your claim! According the the Social Security Administration, you must meet specific minimal qualifications to begin receiving benefits for social security disability. Over the course of your working life, you must have paid into social security through your paychecks and you must have recently been working. The government then states that you also must have a disease, disorder, injury or illness that they consider ?disabling? so that you will be unable to work for at least the next 12-months. How long do I have to be unable to work for? You will have to provide documentation from a medical professional that your condition will prevent you from working for at least 12 months. Individuals that believe that their specific condition will prevent them from working 12 months or who have already been unable to work for 12 months should contact us immediately to begin the application process. The social security administration uses a specific process to assess your personal medical situation. Once they have gone through various aspects of your life such as your history of employment, age, schooling level, and ability to work, they will make a decision. Without an expert professional fighting for you, over 70% of disability claims are initially rejected. Can I appeal the government?s decision if they say I?m not disabled? Yes, you can appeal your denial of benefits, but there are strict guidelines for doing so and you must act quickly. The window to ask for an appeal of the government?s denial of benefits is only 60-days, so if you have been denied you must contact an expert immediately who can fast track your appeal. There is nothing simple about the appeal process, it takes a long time and is incredibly complicated. You need a social security disability advocate to assist in this matter. What are the benefits I can receive? First, you will receive a monthly cash benefit to help you pay your everyday bills. There is no set amount, it is primarily determined by what type of income you have earned in the past and how much money you have paid in social security (FICA) taxes. Second, you will also receive Medicare benefits 24 months after you are approved for SSD benefits. Depending on the seriousness of your disability, you might be able to immediately receive Medicare. What if my disability gets worse? Unfortunately, no, you will not receive more benefits, with exception to possibly getting Medicare immediately. The reason is because the cash that you receive is based on what you have earned in your life through employment and what you have paid into as FICA taxes. Can I work part-time and still get benefits? Yes, in some instances, you can work part-time and still receive social security disability benefits. This is what is called a ?Trial Work Period.? Speak to a professional to get all the details on this Trial Work Period. What does it mean to have a ?Trial Work Period?? This is where individuals on disability and receiving benefits begin to attempt to re-enter the workforce through part-time work. It is for 9 non-consecutive months during the first 60-months that you are able to work. You are allowed to earn a small monthly income (the amount changes each year) and still receive your disability benefits. What is the social security disability application process? There are two ways to apply for social security disability benefits: 1. apply with the social security administration on your own, or 2. hire a trusted professional with years of experience and a proven track record of winning claims on the first try, like our affiliates at socialsecurityrights.net! The application process is not short or easy by any stretch of the imagination. It is normal to take anywhere between 3 and 6 months. This is because there is a large volume of applications at any given time and it takes a great deal of work for them to process the applications. This is where having a professional hired for you comes in: we fast track the process and make sure everything is done the right way, making the workers at the social security administration?s job easy?making your claim fly through the process with much greater ease! How long does it take to start receiving benefits? Once the social security administration decides your date of disability, you will begin receiving benefits after a waiting period (mandatory) of 5-months. If they determine that you were disabled months ago, you will receive a lump sum payment for the time period that you were waiting to receive your benefits. There is no set amount of money, it is determined solely on your history of work and how much you earned and paid into FICA taxes over the course of your lifetime. Can terminal illnesses receive benefits? Absolutely, yes they can. With a professional like those you will connect with from socialsecurityrights.net, you will be able to fast track your application in less than a week after filing your application. This is where you need an advocate to fight for you and get your claim on the fast track! Why should I use a SocialSecurityRights.net approved professional? Simple. We only work with social security disability experts. By working with us, you are assured that you have one of the best on your side. From fast tracking your application in certain instances to making sure that your application is done the first time to help expedite your process, we are your #1 trusted source for social security disability rights! Contact our compassionate team of professionals now and find out what we can do for you! *If you are working full time then you do not qualify for SSD. *If you already have an attorney then you do not qualify for the free evaluation. *If you already getting SSD benefits then you do not qualify for SSD. *Accident must be within last 2 years. Select "No" if more than 2 years. All evaluations performed by a Social Security Disablility Professional. Clicking submit does not legally bind you with any attorney in any way. It is completely free with no obligation. Free Social Security Disability Evaluation! How Can I Get Disability Back Pay? If I am Denied Disability Benefits, Can I Reapply? Is There a Way to Get a Social Security Disability Claim Approved Fast? Can I Get Disability for Asthma? SocialSecurityRights.net provides you with helpful Social Security information to use at your own discretion. We provide a Free Case Evaluation which is performed by an expert in your area. This is completely free and there is no obligation. By using qualified advice from our affiliated social security disability experts, you can then make decisions based on your own circumstances. Our goal at SocialSecurityRights.net is to get you started in the right direction by providing information and qualified advice from our affiliated professionals. All information provided on SocialSecurityRights.net is to be used at your own discretion. By filling out the Free Case Evaluation Form you will be contacted by an affiliated professional from our company. You are not obligated in any way to form any relationship with them whatsoever. If you desire to move forward and establish a relationship with one of our affiliated experts, you do so at your own risk. SocialSecurityRights.net will not have any legal obligation with you or the professional you choose.